I took my daughter's family and grandkids to Zoolights at the Oregon Zoo last night. 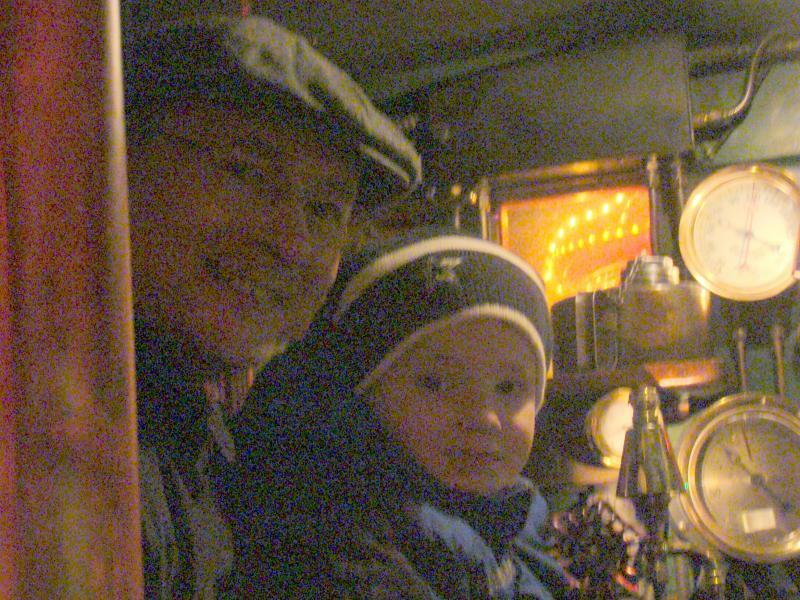 Thanks to engineer, Ken Lauderback, my five-year-old grandson, Tyrus, and I rode in the cab with Ken, while my 13-year old son, Spencer, rode in the tender. Thanks Ken. 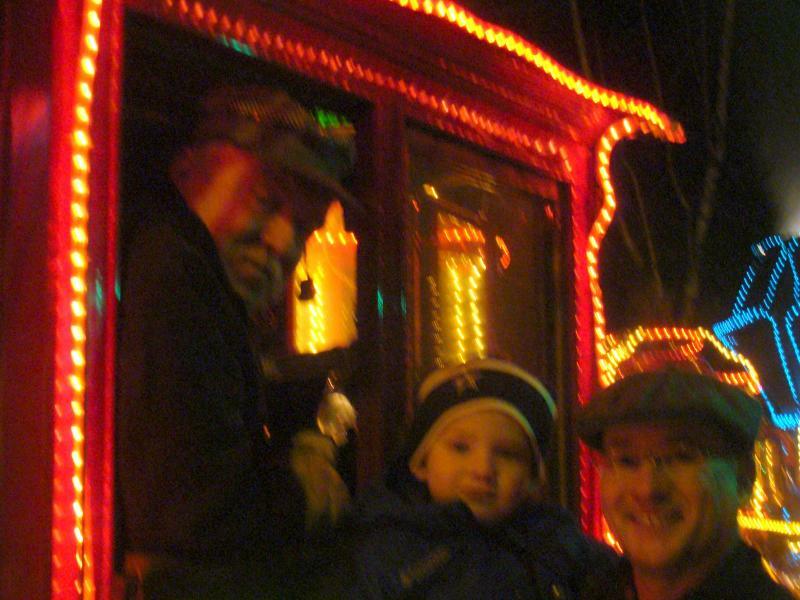 Having a grandson around is always a good excuse to go for a train ride! Let me be the first to wish everybody on the forum a Merry Christmas! Keith, that sounds like great fun! 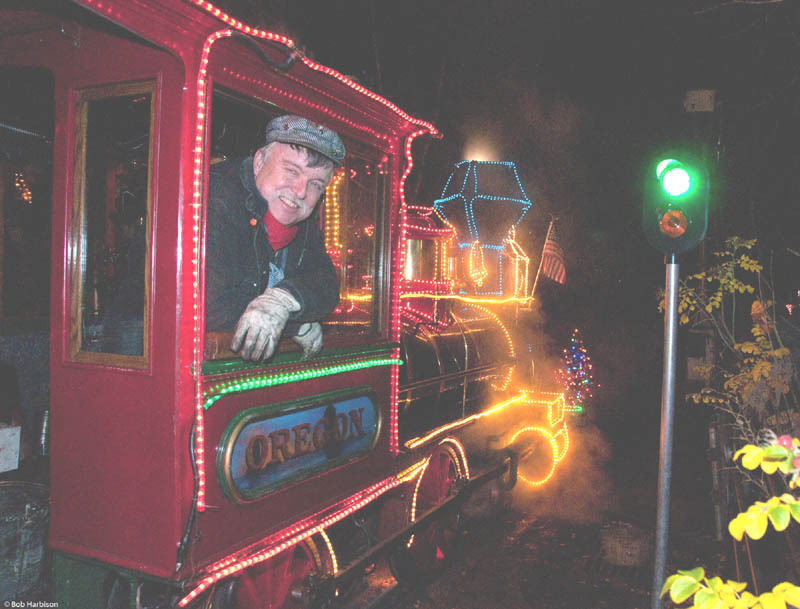 Great bit of information about Ken being the engineer on the Zoo train. Glad to have seen you and your family, Keith. And as mentioned before, all of my Model T friends are welcome! 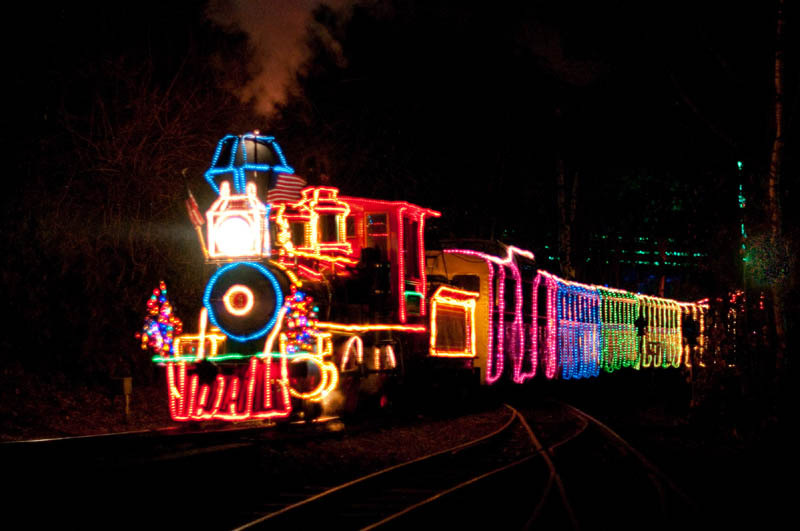 The "Polar Express" is found. I'm next. Just gotta get a night off work soon. Looks like a lot of fun from up front. 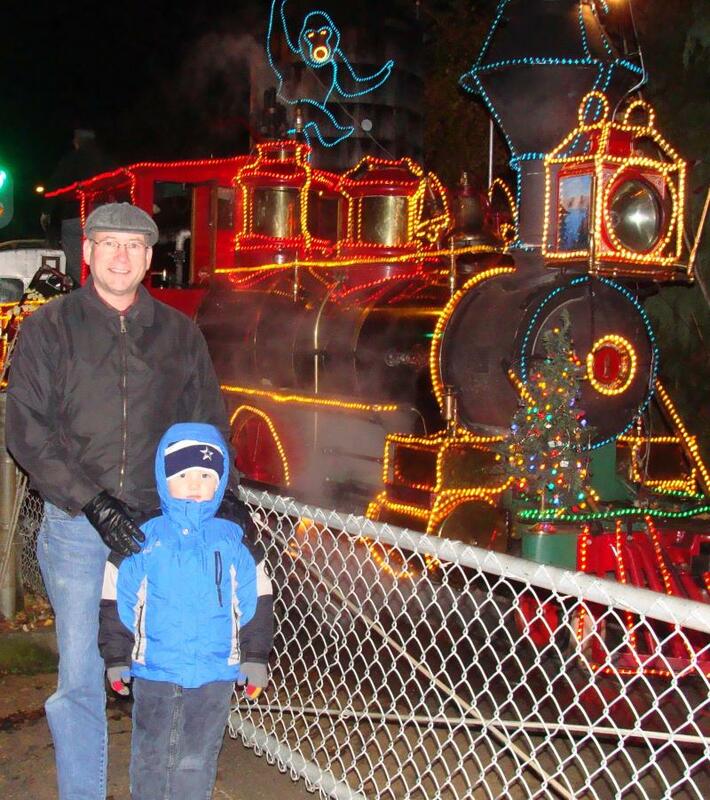 Have ridden that train many times over the years and always loved it as much or more than the kids did. I know this is "off topic" but since the subject of our railroad is at hand, I can't resist sharing this little parody I wrote a few years back. Maybe some of you will enjoy it. Work had come to a stop. On this old railroad stuff! as the down off a thistle! They all make a fuss! For the ol� �Number 5�! What am I s�posed to do? Where it gives me a pain! Now just don�t ask again! There�s no sense even talking! Is some coal for your stocking! And flew up and away. �The next stop is Steamtown?! I haven't finished paying for last year! I need to stop using Christmas as a reason to purchase more things and focus on what it really means. Thanks Ken, You sure helped make our Christmas great. Fred , I LOVE Your Post , it`s GREAT !! Have a VERRRY MERRRY CHRISTMAS , O.K. ?? , Oh , and a Happy NEW YEAR , too ! !